Chemglass Distilling Head Vigreux Vacuum Jacketed Glassware CG-1246 . New Life Scientific, Inc. 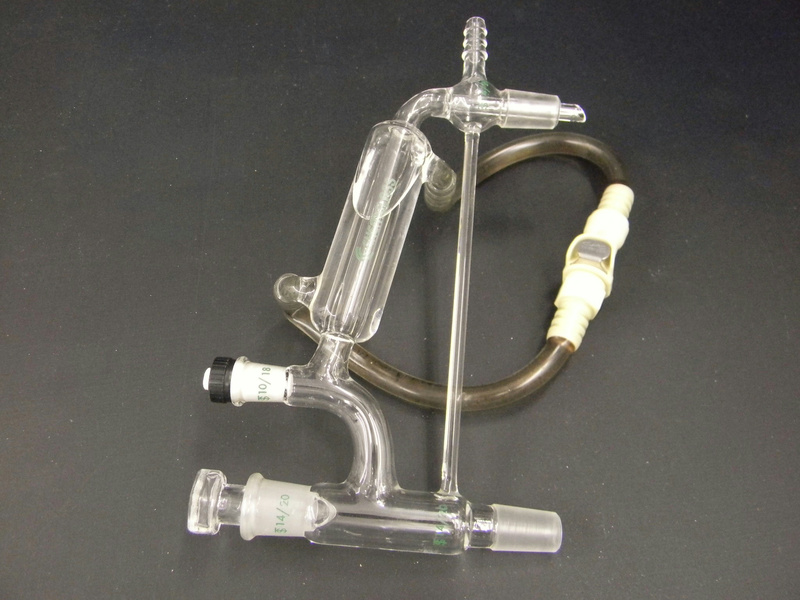 This is a used distilling head glassware that was originally acquired from a US pharmaceuticals lab along with a Mettler Toledo MultiMax System. There are no visible cracks or chips to the glassware that would hinder its efficacy. There are three 14/20 joints and one 10/18 joint. Similar glassware retails between $400 and $500. If you are in need of laboratory glassware, please see a selection of Pyrex, ACE, Chemglass, Buchi and other brands in the New Life Scientific web store!